Mary Jo Britt, age 67, passed away April 14, 2019, at Fairlawn Haven in Archbold, after battling health issues for many years. She was born in Napoleon on March 4, 1952, to James and Ruth (Ammon) Kruse. Mary Jo graduated from Pettisville High School in 1970. After graduation, she followed her adventurous spirit and lived in Michigan, Arkansas, back to Michigan, before health issues forced her back to Ohio. She loved to read and plant gardens to watch them grow. She loved animals, with tigers being her favorite, and was a frequent volunteer at the Potter Park Zoo in Lansing, Mich.
She was a member of St. John’s Christian Church in Archbold. Left to mourn her loss are her sisters, Toni (Chris) Neuenschwander and Betty Elling; brother, John (Mary) Kruse; nieces and nephews, Trevor Neuenschwander, Chris (Sherry) Elling, Wendy (Brad) Eitniear, Ben (Lisa) Kruse, Tambreah Kruse, Julian (Kristen) Kruse, Mac (Cristin) Kruse; and 21 great-nieces and -nephews. She was preceded in death by her parents; nephew, Jeremy Neuenschwander; niece, Randi Kruse; and brother-in-law, Thomas Elling. 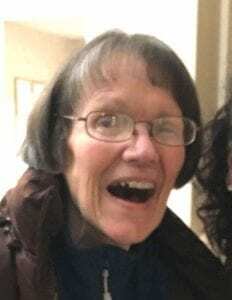 Visitation for Mary Jo will be held from 5 p.m. until 8 p.m. on Thursday, April 18, 2019, in the Chapel at Fairlawn Haven. Funeral services will be held at 10:30 a.m., Friday, in the Chapel at St. John’s Christian Church, with Pastor Erich Christman, officiating. Interment will follow in the Archbold Cemetery. The family requests that memorial contributions be given to the Archbold Fire Department for their great care during her many transports, or St. John’s Christian Church.